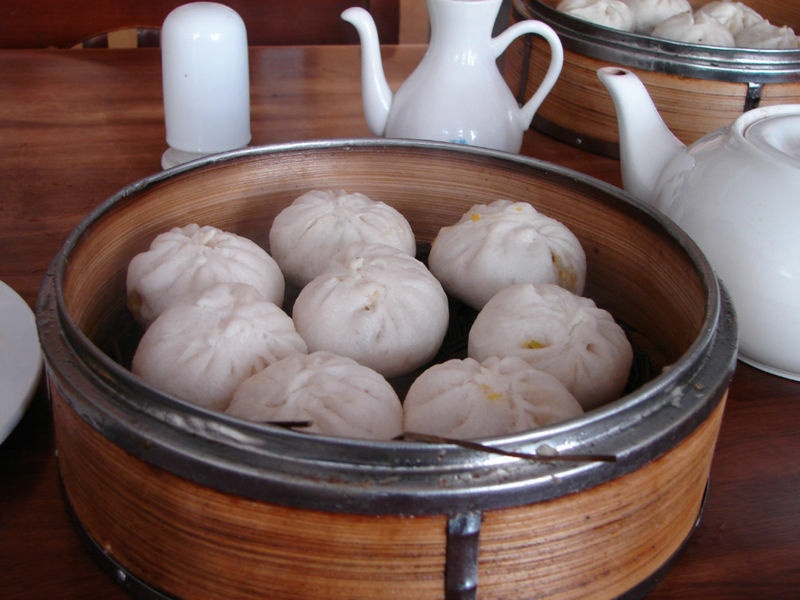 A baozi or simply known as bao, bau, nunu, pow, pau is a type of steamed, filled bun or bread-like (i.e. made with yeast) item in various Chinese cuisines, as there is much variation as to the fillings and the preparations. In its bun-like aspect it is very similar to the traditional Chinese mantou. It can be filled with meat and/or vegetarian fillings. It can be eaten at any meal in Chinese culture, and is often eaten for breakfast. 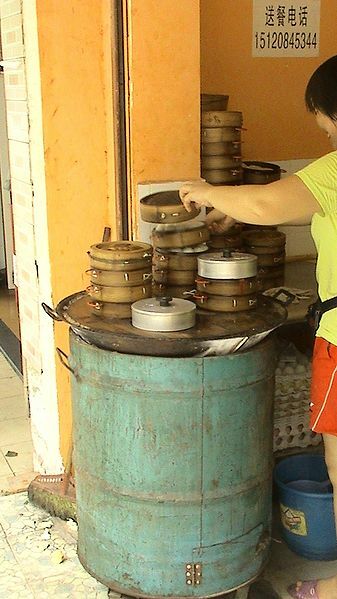 Left: Baozi and jaozi on a steam barrel. A common sight throughout China.